Next Monday isn't going to be just another start to a hellish week. Get your spirits up at Monti where you can mingle with other wine aficionados, as well as sample and learn about 30 of Margaret River's top-rated wines from the likes of Fraser Gallop Estate, McHenry Hohnen Vintners, Chapman Grove Wines and more. The masterclass will also highlight what makes Margaret River unique and how its wines are affected by terroir differences. There will also be opportunities to speak to industry experts behind the Margaret River wine scene plus a 30% discount off any wine purchases during the event with a complimentary next-day delivery. When you're done with Monday, head over to Gunther's Restaurant for an exclusive seven-course dinner specially prepared by Chef Tony Howell (pictured above). 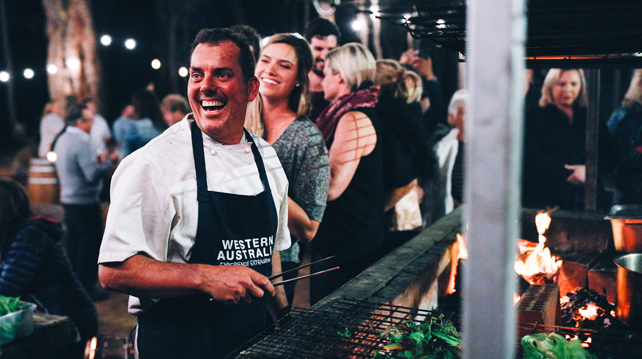 He'll be pairing dishes created with Western Australian produce such as abalone to Chardonnays (which is one of Margaret River's flagship varietals) from Flametree Wines, Vasse Felix, Xanadu Wines, Woodland Wines, Pierro Margaret River Vineyards and Cape Lodge. Margaret River On Tour’s showcase event, Seasons On The Hill is where you'll meet over 30 Margaret River operators who will take you through what the region has to offer. You'll find established wineries such as Vasse Felix, Moss Wood Wines, Cullen Wines (for biodynamic wine fans) and even newer boutique wineries like Windows Estate and L.A.S Vino. Seasons On The Hill also includes food prepared by West Australian chefs Evan Hayter and Tony Howell. Fine food producers like Margaret River Nougat Company and Bahen & Co will also be there to present their specialties. The event might inspire you to book your own Margaret River adventure on the spot – there's one with a whale-watching experience! – so look for tour operators on-site. Wine and desserts? Count us in! Come over and sample eight Margaret River wines from Happs Wines, Cape Grace Wines, and Bettenay Wines that will be paired with dishes by Janice Wong, the mastermind behind 2am:dessertbar. Delicious and Insta-worthy, what's not to love? Chef Drew Nocente of Salted and Hung and Chef Evan Hayter of Arimia Estate are partnering on a four-course menu with snacks. 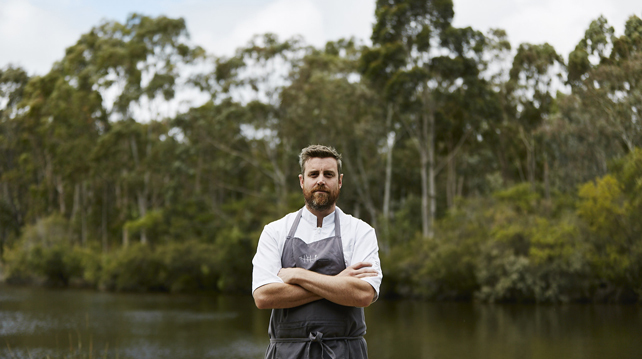 The menu will showcase produce from Chef Evan's farm in Margaret River as well as Wagyu beef from Margaret River. The menu will be paired with bold wines from Arimia Estate, Cape Grace Wines and Woody Nook Wines. On top of all that, you could also win a trip to Margaret River by participating in the lucky draw on the www.margaretriverontour.com website from now until 14th October 2018. The winner is entitled to return air tickets for two to Perth, Western Australia, a three-night stay at Smiths Beach Resort, daily breakfast and a dinner at Lamonts Smiths Beach Restaurant as well as a Vasse Felix Epicurean Tour.